Whether you know it or not, odds are that you or some of your teammates have battled or are still battling depression. Did you know that only 1 of 10 student-athletes dealing with a mental health issue will seek professional help? This means that 90% of cases go untreated (Healthy Bodies Study 2014). It is also important to note that 51% of athletes who sustained an injury reported mild-to-severe depression symptoms (Leddy MH, Lambert MJ, and Ogles BM, in Res. Q. Exerc. Sport). Maybe this doesn't surprise you given the stigma surrounding mental health in and athletic culture that encourages the suppression of pain, feelings and emotions. This week's guest is aiming to put an end to that stigma with the creation of a new smart phone app. "If treated in a timely and appropriate way, both physical and mental ailments can be minimized." "injury is an acute precursor, in a lot of cases, to depression." Vince's personal story of managing depression as a student athlete at Yale University. Why the onset of depress is like a train falling off the tracks. How negative self talk can lead to the wobbles off the track and self doubt. Why injury can be a significant trigger for depression in athletes. Vince takes us through his concussion history and why he believes it was led to the onset of his depression. How the Balance Position app works and how athletes can interact it and keep tabs on their mental health. Vince debunks the stigma of mental health in sports. The similarity between concussions symptoms and symptoms of depression. Vince was actually a dual sport athlete at Yale. Vince and one of his baseball teammates recently reunited for a CrossFit workout (below). The moment Vince realized he had a problem. Tips for staying on track when you’re falling off the train. The difference and similarities between mental pain and physical pain. Vince takes us through his decision to transfer to Carnegie Mellon University where he finished out his football career. Why it was different at Carnegie Mellon University. Vince's transition to life after sports and how he got into cycling. The right ay to do CrossFit. 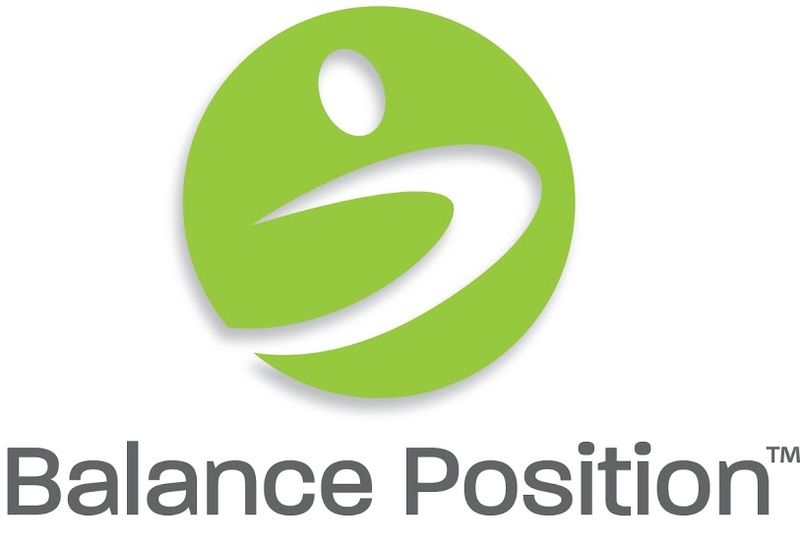 How the Balance Position app is helping athletes transition to life after sports. Check out other athlete stories of overcoming depression on Balance Position's Story Wall. You might see some familiar faces... (Matt Dauby & Kara Stroup). Where can you learn more about Balance Position? WHERE CAN YOU CONNECT WITH Vince? In this weeks episode of the podcast, Josh Boyd (co-host of the Fantasy Football Injury Report) and I interview one of our high school baseball opponents, Rob Kral. Rob was a standout baseball and hockey player at Randolph High School before heading to The College of Charleston to continue his baseball career. Rob was selected by the San Diego Padres in the 10th round of the 2011 First-Year Player Draft. After turning pro, Rob was named first team All-Southern Conference in 2010 and 2011. He led the Southern Conference in on-base percentage (.482) and walks (58) in 2010. After reaching AAA ball with the Padres, Rob came home to play for the independent Somerset Patriots before retiring from baseball after the 2016 season. The focus of our conversation surrounds adjusting to life after playing baseball for 20 years, the ups and downs that come with being a pro baseball player and of course overcoming the injuries along the way. Below you will find other topics of discussion from our conversation. "Baseball doesn't define you as a person." The experience gained from helping out with his family's business (Allen Paper Supply) in the off-season. Redefining his identity outside of baseball. Filling the void of baseball after retirement. Why Rob is not interested in coaching at this point in time. Translatable skills learned in baseball that help him today in sales. Why Rob misses the competition but not the monotony of a long baseball season. Favorite restaurants Primanti Brothers (Josh), Hansel 'n Griddle (Kevin) , buffet (Rob). How Rob dealt with the disappointment of getting so close to the major leagues. How Rob lost his confidence after an all-star season with the Padres organization. Rob takes us through his labrum surgery in college and how it affected his game afterward. The offense-defense dynamic in baseball and how the ability to hit pushes players to play injured. Discussion on concussion and catchers article. Comparing old school vs new school catcher masks. Why baseball players can be critical people. The lack of career development opportunities while striving to be a major league baseball player. How Rob took care of his body during the season. The difference between Rob's appetite during his playing days and now. Ways to have success on the field even with a glaring hole in your game. Why its important to be great at your strengths and to focus on what you are good at. Similar idea to Dr. Jarrod Spencer in episode 50. How Aaron Judge was a great example of toughness last year. WHERE CAN YOU CONNECT WITH Rob? 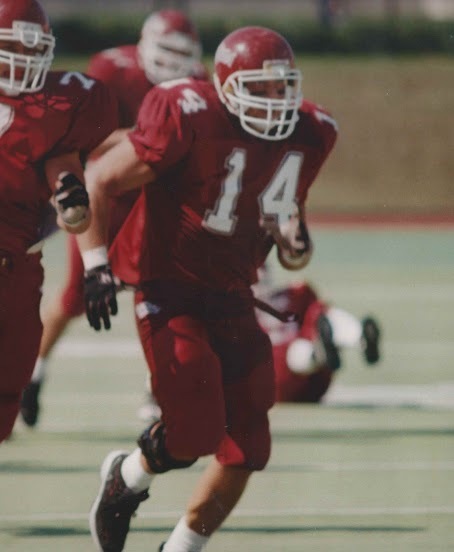 In episode 119 we hear from my former high school teammate, Tyler Bernsten. Outside of football Tyler and I also worked the same landscaping job in the summer at Barnes III & Sons. Tyler and I had a blast reminiscing about games we played in, trips to Applebees for half-price appetizers and appreciating the opportunity and the lessons learned from playing football for the West Morris Central Wolfpack. Tyler takes us through his journey of bouncing back after throwing 5 interceptions in his first Varsity game to going pick-less in his senior year and ultimately becoming a division-1 college football player. This is my first attempt at a video podcast so please watch and share the YouTube video below. Let me know if this is something you want more of in the future. More talking points discussed in our conversation will be scattered throughout the rest of this post. "You invest so much time into one thing, and it is so hard when that is taken away in a second." What went into Tyler's decision to play football at Monmouth University. The difficult conversation Tyler had with his tight end coach at Monmouth when he decided to transfer to Wilkes to pursue his dream of playing quarterback. What Tyler's Mom told him as a kid that sticks with him to this day. How Tyler won the starting job at Wilkes without a red jersey. Tyler's thoughts on youth tackle and flag football. The role Tyler's Mom played in his love for football and his determination in playing quarterback. Tyler handing the ball off to me in a game against Roxbury High School. "It's okay to run out of bounds." The importance of ignoring the ego when trying to stay healthy. The mental and emotional tole of these injuries and what kept him coming back for more in his last year of eligibility. Tyler's advice to young quarterbacks. How witnessing my injury impacted Tyler and his future teammates. The unique bonds forged in high school football. The transition to life after football. "Never let someone in your life tell you, you can't do something." Tyler quarterbacking the State Semi-playoff game in his senior season. "It's a little piece of heaven, where our football field is." The football field remains a happy place for me to this day. I took this photo during a track workout a few years after graduating from WMC. It truly is a little slice of heaven and I am sure Tyler's Mom has something to do with that. WHERE CAN YOU CONNECT WITH Tyler?